I have kind of a thing for Jewish weddings. I love it when they break the glass; I love admiring the ketubah (the marriage contract); I love learning about the culture from seeing what my friends choose to include in their ceremonies. 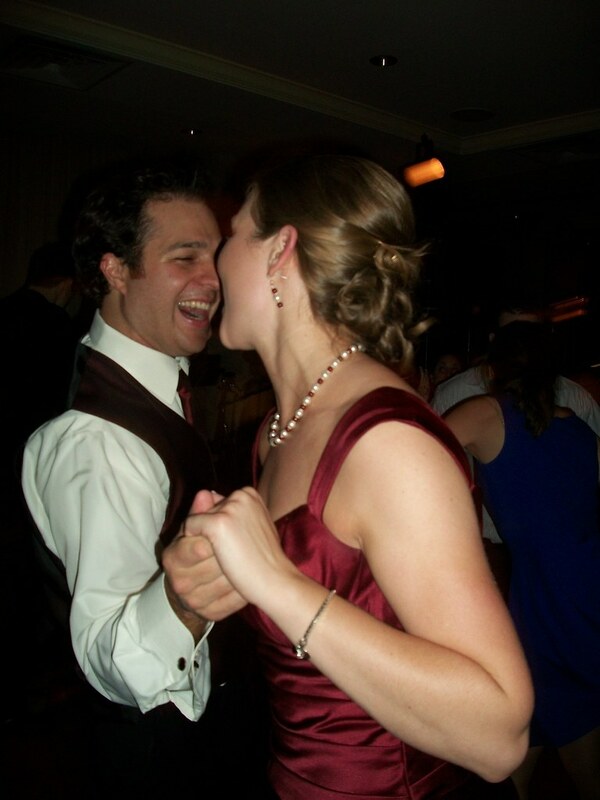 I love Jewish wedding traditions. The tradition that just kills me, though, apparently (according to Wikipedia) has roots in Italian Catholic tradition: the cookie table. 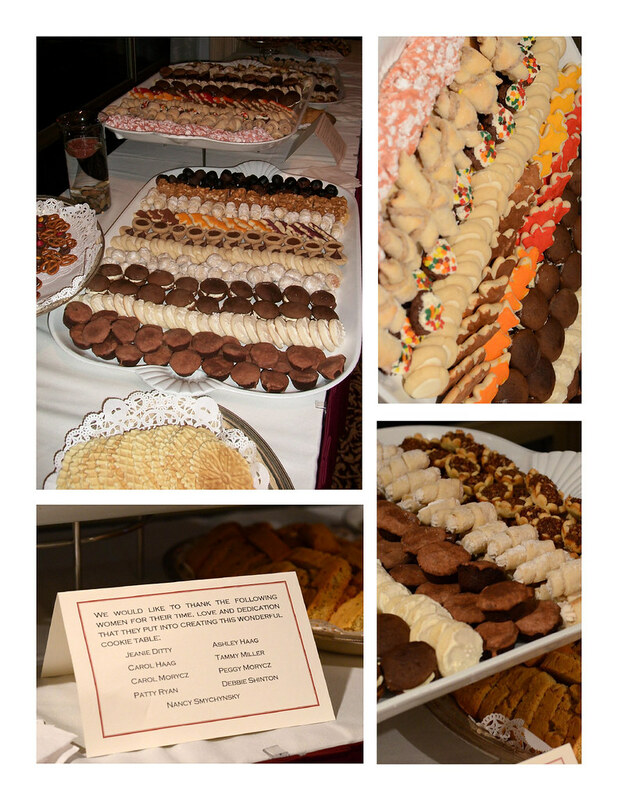 The cookie table is a longstanding Pittsburgh-area tradition wherein, in addition to a cake, there are literally thousands of cookies arrayed along the side of the reception hall. At the most recent wedding I went to, the bride’s family had prepared 137 dozen (that’s 1,644) cookies. There were plastic containers provided for guests to take some home (this is also a tradition. Ian and I hit the peanut butter-chocolate cookies HARD), and leftovers provided at the breakfast the next morning. I. love. cookie tables. And it is a tradition the world should know about, so that you can start trying to finagle your way into Pittsburgh weddings. The images were provided courtesy of my friend Jen, who is pictured below. I really like this picture, even though you can't see her face. you can tell she's smiling.